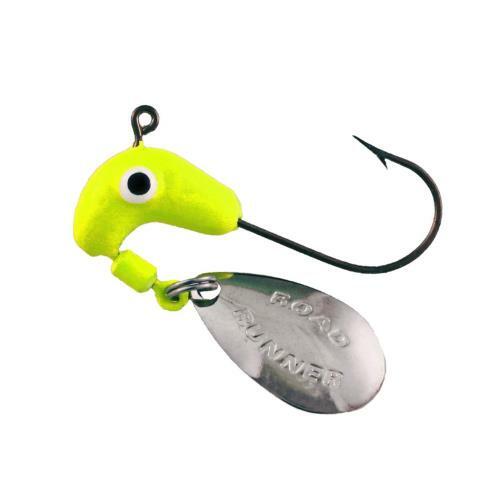 Road Runner Original Jig Heads are constructed using high quality hooks with bright colored painted heads. These jig heads are great for a variety of fishing applications and species. The silver colored spinners add flash and vibration to entice fish from greater distances. Add your favorite baits for a deadly combination. 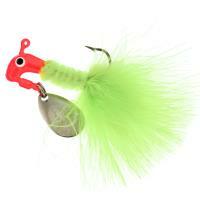 Road Runner Original Marabou Jigs are deadly on bass, walleye, crappie, and other panfish. 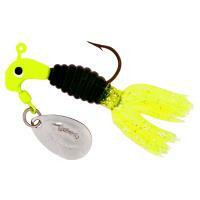 These jigs are constructed with a solid, painted jig head, a fuzzy grub body, and a spinner blade. 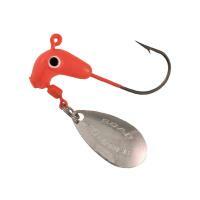 Original Marabou Jigs send out little vibrations that are sure to produce fish action. Each package contains two jigs. Road Runner Crappie Thunder Jigs are constructed of premium jigs with colorful Crappie Thunder grub bodies. Bright painted heads and large eyes add attraction to these jigs, plus a silver colored spinner adds flash and vibration. 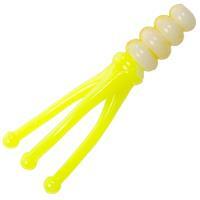 The tails of these Crappie Thunder Jigs wiggle through the water to entice fish to strike. Each package contains two jigs. Bobby Garland Head Dockt'R Shooter Jig Heads are specially designed to keep your soft baits in place. These jigheads feature a circular head, large black chrome hook, and have a high-gloss finish. Bobby Garland Head Dockt'R Shooter Jig Heads are available in 1/24 oz. and 1/32 oz. sizes and five bright colors. Bobby Garland Mo'Glo Overbite Sickle Jig Heads make catching crappie and slabs a breeze. 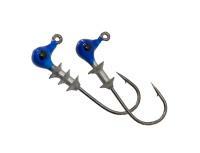 The unique sickle shaped hook holds baits in place and ensures a better hold on your catch. Bobby Garland Mo'Glo Overbite Sickle Jig Heads are available in 1/32 oz. and 1/48 oz. sizes and five vibrant glow-in-the-dark colors. Bobby Garland Itty Bit Jig Heads feature a down bait keeper and are made with an ultra sharp Eagle Claw size 8 hook that provides superior hold. Bobby Garland Itty Bit Jig Heads are essential pieces to add to your collection. 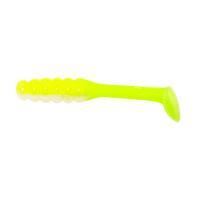 The Mr. Crappie Slabalicious Road Runner features a soft, plastic, baitfish profile and comes in a variety of colors. 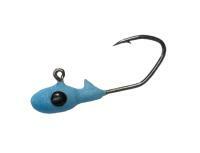 This jig was made to target crappie and other panfish with its painted head and high quality hook. Whether you're casting, jigging, or trolling, the Slabalicious Road Runner jig is extremely effective in catching more fish. 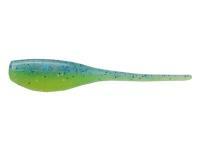 The extra-long tail on this jig will entice fish with its alluring action. 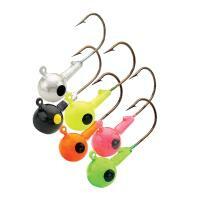 Road Runner Original Jig Heads are constructed using high quality hooks with bright colored painted heads. 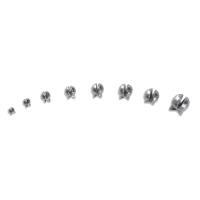 These jig heads are great for a variety of fishing applications and species. 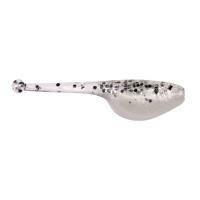 The silver colored spinners add flash and vibration to entice fish from greater distances. Add your favorite baits for a deadly combination. Whether you're casting, jigging, or trolling, these Road Runner Jig Heads are extremely effective in catching more fish. How many of these come in a package? There are 4 jigs per package. do you have any road runner 1/32 oz jigs? 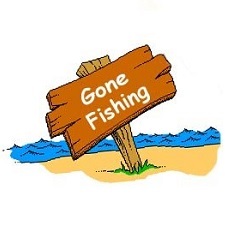 We do not currently carry the 1/32 ounce jigs. Strike King Mr. Crappie Jokers are excellent soft plastic baits for crappie fishing. The Jokers feature a three part tail that offers the subtle movement that is often needed to trigger bites. These great little soft plastics are made with the highest quality materials and systems control to ensure they all meet your satisfaction. 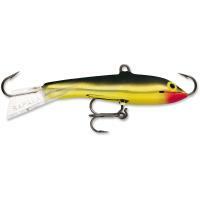 Northland Sink'n Jigs feature highly attractive, brightly painted colors and premium hooks. 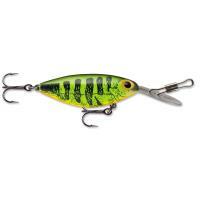 These jigs utilize a DuraFinish coating to ensure the colors are long lasting. A target eye is painted on each jig head to provide additional attraction and increase fish strikes. Sink'n Jigs are built with a specially designed bait collar that securely holds baits like soft plastic minnow, worms, grubs, and live baits in place. 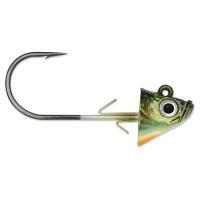 Bobby Garland Baby Shads are the perfect bait if you're targeting crappies. Known as a highly effective soft bait, the Baby Shads are very popular with pro anglers. These soft baits feature a durable fat body with a thin, spear shaped tail to create the ultimate dancing action. Bobby Garland Baby Shads come in a wide variety of colors including some glow-in-the-dark for various water and fishing applications. Bobby Garland Baby Shads are made in the U.S.A.
Strike King Mr. Crappie ShadPoles are great softbaits that are designed with the darting action of a threadfin shad and a wiggling tail like a tadpole. 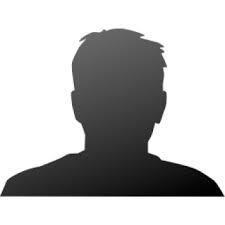 These baits are are made with the highest quality materials and systems control to make sure every lure is to your satisfaction. When you use the Strike King Mr. Crappie ShadPoles while fishing for crappie, get ready for a feeding frenzy! Strike King Mr. Crappie ShadPole Curlytails have an exaggerated tail that curls upward, which allows an incredible swimming action even at slow speeds. 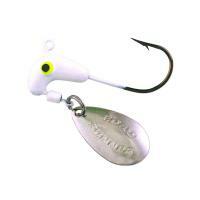 These baits have the profile of a threadfish shad which crappie can't resist. Strike King Mr. Crappie ShadPole Curlytails are made with the highest quality materials and systems control to make sure every lure is to your satisfaction. Southern Pro Weed Guards are soft plastic guards that allow anglers to fish in the weeds and brush right where the crappie are. Simply lay one end of the weed guard over the eye of the hook or jighead and then stick the other end on the point of the hook (sold separately). 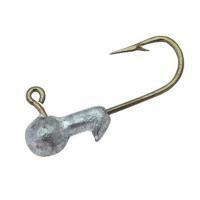 The end of the Southern Pro Weed Guard can be pinched off to fit smaller hooks. Each package contains 10 weed guards. Southern Pro Weed Guards are made in the U.S.A.
Strike King Mr. Crappie Slabalicious are awesome baits with incredible paddle tail action. 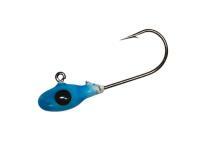 These baits feature soft plastic, baitfish profile bodies and come in a variety of bright colors. Strike King Mr. Crappie Slabalicious baits are designed specifically to target crappie and other panfish.